Beautiful shades, head turning hues....gorgeous hair color from our Fredericksburg VA hair salon! 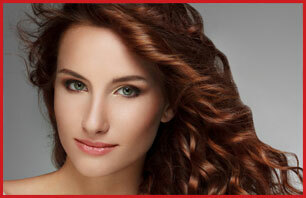 We are hair color specialists. Ombre color, balayage highlights, permanent hair color, color glazing, camo color for men....we are accomplished in all of the latest trends. Are you interested in updating your style but just not sure which type of hair color is right for you? Our stylists will be happy to schedule a personal hair color consultation with you. We can help you choose just the right shade to give your the results you are looking for. We have a many different color formulas available, and we will choose the best option for delivering long-lasting results that will leave your hair healthy and shiny, not stripped and lifeless after your service. Click on a category below to learn more about our different Redken hair color lines, our mens color service, as well as tips for choosing the perfect color to compliment your skin tone. At New U hair salon in Fredericksburg, we do not settle for anything less than the best color formulas in the industry. Our Redken color lines are designed to give high performance results, long lasting color, and shiny hair that is soft and manageable. 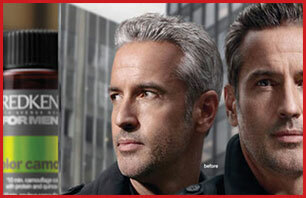 Finally, a great hair color for men that is gentle on the scalp and provides natural looking results to cover gray. Best of all, it can be completed in just 10 minutes. Hair color is an investment, and you want to ensure that your hair keeps its hue long after your appointment at our hair salon. Follow our expert tips for keeping your hair healthy and your color looking amazing until your next visit. You want to change your hair color but maybe you're nervous about which shade is right for you? We can help. Follow our great tips from top stylists for choosing the perfect hair color every time!